All Star Sports in Wichita West will keep you and your family entertained and amused for hours! 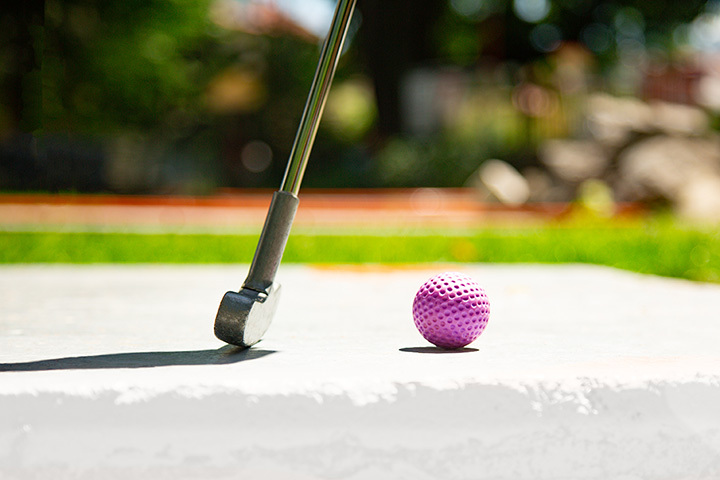 The mini-golf offers two great 18-hole courses. Each course has huge boulders of rocks, waterfalls with streams into ponds, and fountains of water shooting straight up. Each challenging hole is individually marked with flags and has an average par of 2. Scorecards are also available. Kiddie Karts for the younger children on a separate track to the adult version. Each ride is 5 minutes. Height Requirement: 36" tall and 4 years old.All Star west now has a new attraction! It's the bumper boats! Much like bumper cars, this 5 minute ride has round boats that each person gets into and motors around on a huge mass of water. With a huge fountain and a spontaneous water sprayer from the island, every rider is sure to get wet or even soaked! Lazer Runner is All Star's own laser tag arena for a maximum of 16 players a game. Each gun shoots a visible laser in a smoke-filled arena with a state-of-the-art sound system. Plus plenty of other classic fun features for the fmaily to enjoy together, from batting cages to Bowlingo!